This section has been created for everyone who seeks spiritual assistance from Dorje Shugden to help them overcome life’s daily challenges. Make someone’s life better by including them in your daily sadhana (prayer) or request prayers for someone in need. Pray for my lover Shubham Kumar Kori that I always stay close to his heart and in his heart forever.Pray that he..
Pray for my lover Shubham Kumar Kori that I always stay close to his heart and in his heart forever.Pray that he understands me and never hurts me by any means.Never let us both separate from each other.Keep us together forever happy with each other. Hi! I am Yuen from KL. I have been having rear neck and rear head pain which affects my daily life. The pain is pulling..
Hi! I am Yuen from KL. I have been having rear neck and rear head pain which affects my daily life. The pain is pulling and sore which affect my thinking and focus. I am also constantly having many negative thoughts in my mind and I can’t focus. I have tried many treatments but it didn’t work. 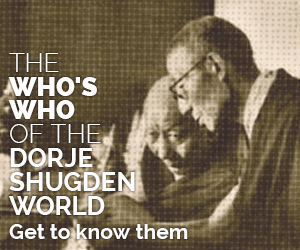 I have came across Dorje Shugden and full believe that he will be able to help me. Thank You. May they have food and things. May they have clothes and shelter. May they have medicine and water right now. Please pray that my mother be so health and don’t need medicine. I pray for all the ones see me as enemy to not be enemy of anyone just like me. Please pray for them to be happy and at peace. Please pray for them to be healthy and feel the life. may all the pathways in there lives be unblock ,prosperous and insightful. Pray for me (Jolyn Chris D’souza) 23year old female from Goa and my boyfriend lover (Shubham Kumar Kori) 19 from..
Pray for me (Jolyn Chris D’souza) 23year old female from Goa and my boyfriend lover (Shubham Kumar Kori) 19 from Bhilai,Chattisgarh,India to Always help us value each other , love and laugh together , compromise with each other , avoid arguments with each other, give in to each other’s needs and live happy.Also pray that we accept each other irresponsible of physical features.Pray to Remove all the evil eyes from our relationship and make it healthy.Grant us abundant blessings.